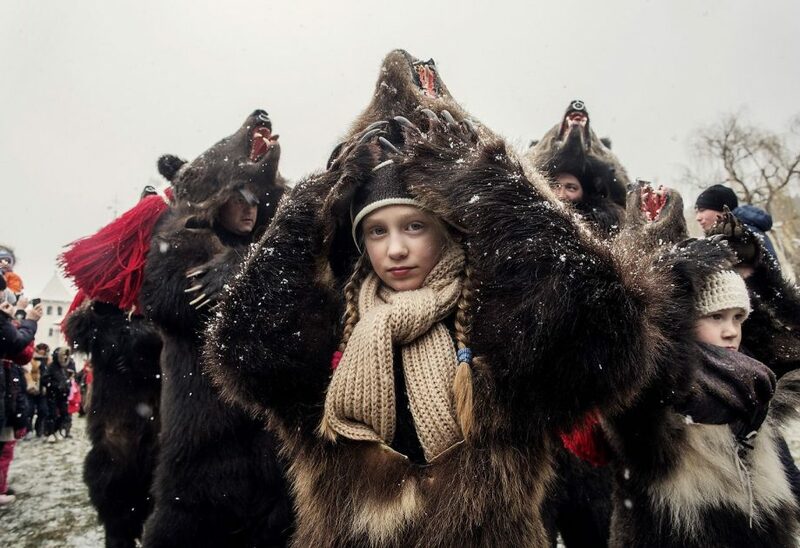 In pre-Christian rural traditions, dancers wearing colored costumes or animal furs, toured from house to house in villages singing and dancing to ward off evil, in the present the tradition has moved to Romania’s cities too, where dancers travel to perform the ritual for money. 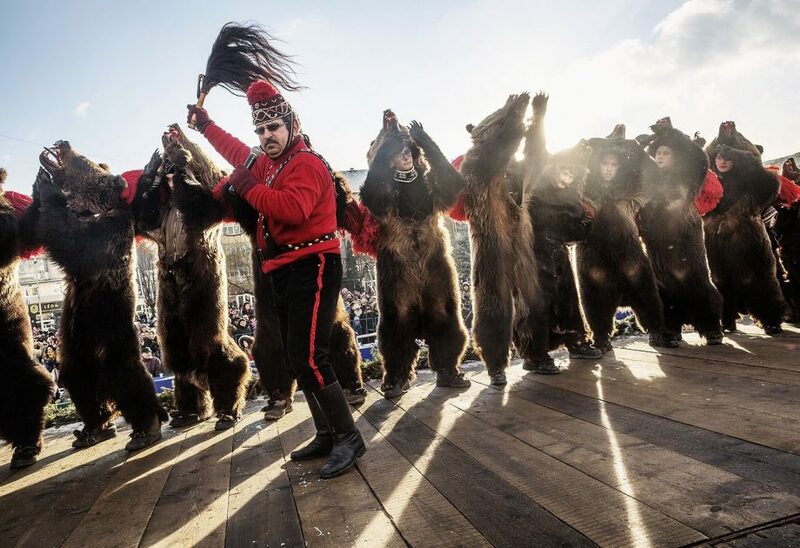 The dancing bears tradition originated among the Roma who migrated from India centuries ago. Roma went door to door with bear cubs who walked on the backs of villagers to alleviate back pain. When the bears aged, their owners had them dance in exchange for tips. I snapped some of these images in Bucharest and others during the few hours I spent in the region, while visiting my family in Moinesti. 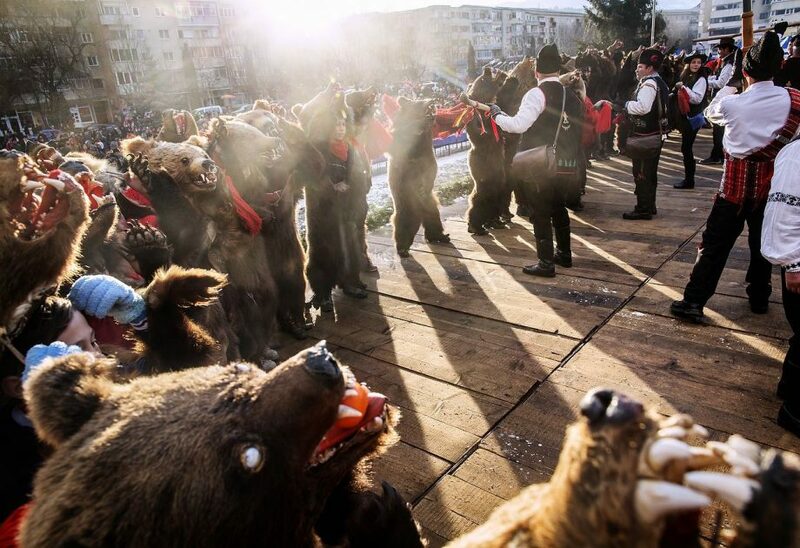 Troupe of bears performing during the twentieth edition of a local festival attended by hundreds in Comanesti, northern Romania, Wednesday, Dec. 30 2015. In pre-Christian rural traditions, dancers wearing colored costumes or animal furs, toured from house to house in villages singing and dancing to ward off evil, in the present the tradition has moved to Romania’s cities too, where dancers travel to perform the ritual for money.